Comments allegedly made by Dean of engineering and computer science, Robin Drew, in response to the continuing request for a prayer space in the EV building are causing concern among the directors of the Graduate Students’ Association. Nazar reported the comments to the Dean of Students, VP Services, and Concordia’s interim President Frederick Lowy, but is unaware if any follow-up has been made. 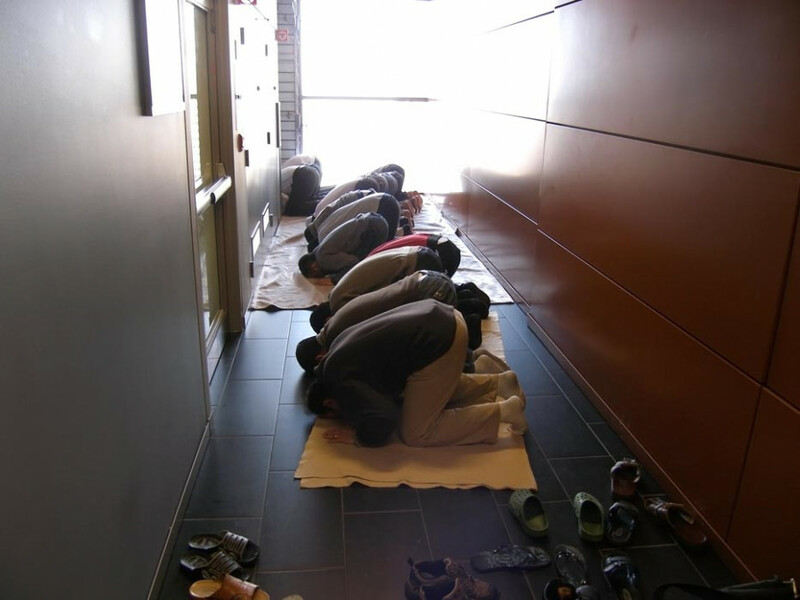 Around 20 Muslim graduate students, research assistants and teaching assistants began petitioning the faculty of engineering and computer science in early January to use an unoccupied “special projects” room on the 15th floor of the EV building several times a day for prayer. They said that the walk to and from the Hall building prayer space was taking too much time out of their work and studies. Drew refused, saying the EV was “built to be used exclusively as a research and teaching building” with no space for student activities. “As a secular institution, the university has no obligation to provide space for any religious practices,” said Concordia spokesperson Chris Mota, indicating that the prayer space at both downtown and Loyola campuses provided by the Concordia Student Union would have to be sufficient. But the GSA is refusing to take no for an answer. Since January, they have brought forth the request to the School of Graduate Studies, Dean of Students, VP Services and Board of Governors. The walk to the seventh floor of the Hall building from the upper levels of the EV takes roughly 10 minutes. Making the trek four or even five times per day for 10 minutes of prayer adds up to at least two hours per week. Individuals who raised the issue have been opting to use stairwells and other spaces that offer relative privacy for prayer in order to save time, but have been met with opposition from security who recently told them they were not allowed to pray there. Last Thursday, the GSA passed a motion calling for the university to provide student space for general spiritual use—starting with the EV building. Abueid is attempting to negotiate with VP Services Roger Côté to have one of the four student lounges in the EV allocated as a quiet reflection space for students, religious or not, who just want a room to de-stress. Côté’s response has been that doing so would require the university to provide such a room in each building, which would be impossible. Moreover, says Nazar, the problem is one of distance. If the university buys the Faubourg, as they have proposed, students in the EV will be faced with the same problem of having to leave the building to pray. The GSA is currently contemplating other avenues through which they can resolve this issue, such as working with the campus Multi-faith Chaplaincy or the Teaching and Research Assistants at Concordia union. Who Will Claim Your Space on Campus?